Drawing on solid experience, Le Comptoir Irlandais has carefully selected spirits and alcohols from all over the world. Our cellar is enriched every year with new spirits and alcohols greatly appreciated for their distinctive aromas and flavours. Our journey starts with Irish whiskey, Scotch, American or Japanese whisky, Rum originating from various regions and countries around the globe, as well as a selection of iconic beers from Ireland, which are some of the few samples of our cellar. Discover our special choices and rely on our knowledge to make your selection. New Glendronach 21 years old is a full-bodied whisky with hints of wood, fruity intensity and gourmet aromas. This Single Malt has aged in Sherry casks. New Birnie Moss is the most peated whisky in the BenRiach distillery. It reveals notes of oak, vanilla and exotic fruits. New IPA Guinness Beer is made from American hops with citrus flavours. New Glendronach 18 years old is a mythical Highland Single Malt aged in Oloroso sherry casks and bottled at 46°. He has been rewarded many times. New Carlow Brewery partners with Tullamore D.E.W distillery to create a unique amber beer. This limited edition reveals hints of orange and lemon. 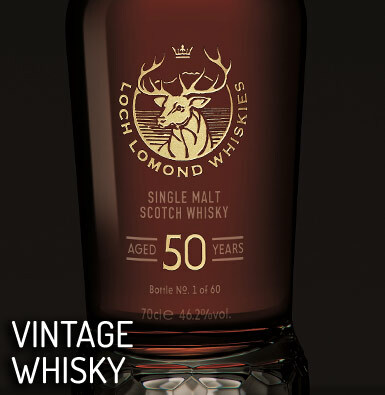 New The Dalmore Vintage 2008 is the eighth version of the Small Batches series. It is an exceptional Single Malt with its finish in Madeira barrels. New Red Spot benefits from a 15-year maturation in three types of barrels for a high quality result and rich and complex flavours. New Tenth version of the Private Edition collection of Glenmorangie and first whisky created from a wild yeast from the distillery. 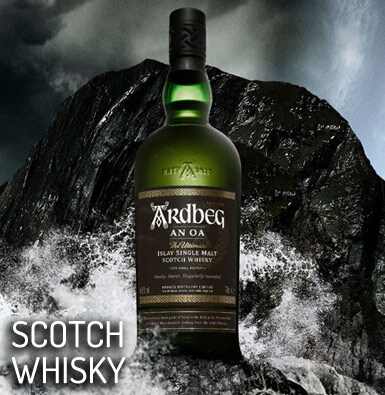 New This peaty bottling of Elements of Islay brings subtlety and nuances, mixing notes of citrus and dark chocolate. New The Howling Gale Irish Pale Ale from the Eight Degrees brewery is a fruity beer with citrus and grapefruit aromas. New Discover the double IPA beer of Galway Bay Irish brewery with aromas of sweet fruit and resinous hops. A perfect sweet-bitter balance. New Full Sail beer is an IPA with floral and fruity notes. It is brewed in County Galway, Ireland, at the Galway Bay brewery. New Galway Bay Buried At Sea is a stout beer brewed with chocolate and milk sugar, providing rich and subtle notes. New The Eight Degrees Full Irish Single Malt IPA beer is brewed with 100% Irish malt. New This whisky is a rich and tasty blend, with shades of pepper and spices, bottled at the highest degree 43%. The first partnership "Islay Boys" was established by Donald MacKenzie and Mackay Smith. New Jack Daniel's Rye N°7 is filtered through maple charcoal and distilled from 70% of rye, giving it a spicy hint. New Jack Daniel's Legacy Edition 1905 is a limited edition. 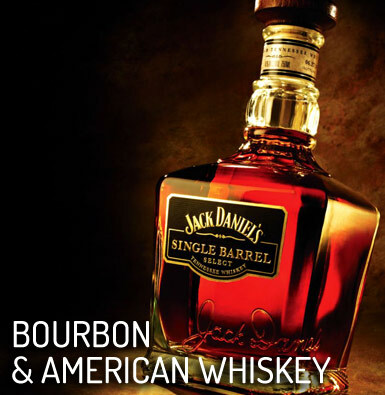 This bottling refers to the previous design of Jack Daniel's Old No.7. Our favorite Discover the mellow and fruity richness of the timeless, world-famous Irish Single Malt. Discover the Bushmills Original in its miniature form! 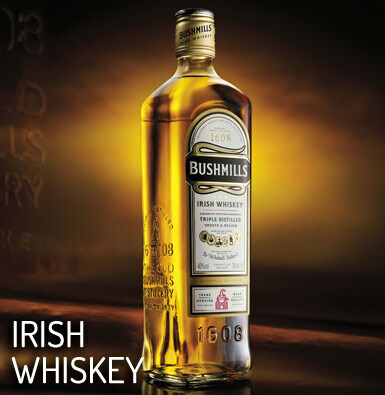 An attractive, rich and smooth blended whisky from The Old Bushmills distillery. The famous Gaelic whisky which name means "the sea child". Single pot still whiskey has been labeled as the "Irish nectar" and is deemed one of the best Irish whiskey in the world. Yamazakura Blended is a japanese whisky, assembled with four malted and grained whiskies and aged in bourbon casks. Lagavulin offers the most intense, smoky and rich whisky from the Classic Malts Selection. The 16 Year-Old version picked up the Gold Medal at International Wine & Spirit Competition 2013. 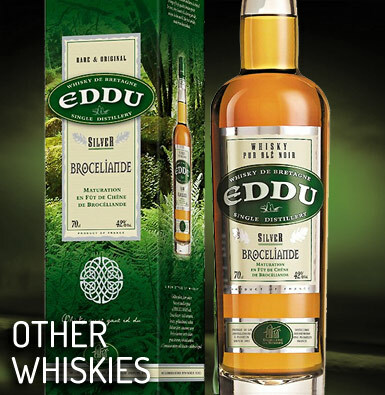 A pure buckwheat Breton whisky, with an original fruity character. In Scotland, whisky production is divided by regions – Lowlands, Highlands, Speyside, Campbeltown, Islands and Islay – even if this classification is not fixed and only applies to malt distilleries. These regions of origin appeared in the 80’s, as the Single Malts range expanded rapidly. As a result of aging in intensely toasted red wine barrels, the new limited edition Ardbeg Grooves develops powerful and peaty aromas of smoked spices, apples and pears. Ardbeg 10 Years Old is the standard expression of the distillery. Quite famous, it is one of the most peated and smoky Islay Single Malt. This wonderful whisky has mild spices aromas mingled with chocolate flavours. A blending of grain whiskies and malt from 4 different regions of Scotland, Chivas Regal 12 years old is a standard in the "blended scotch whisky" section. A finely peated Islay Single Malt with a marine and herbal character. A quite classic, appealing Single Malt with a beautiful structure in the mouth. Presented by Jim McEwan in 2015, Octomore 7.1 embodies the culmination of a stand-out Master Distiller. Bottled at 59.5° after five years resting in Bourbon casks, Octomore states - again - its supremacy as world's most heavily peated Single Malt. In 2016, the mythical Lagavulin distillery of Islay celebrates its 200th anniversary and has launched a limited edition of Lagavulin 8 Years Old 200th Anniversary. An exceptional Highlands Single Malt, aged in Sauternes casks. rum was naturally introduced in our retail stores. Rum of the former British Isles, or Ron of the Spanish speaking countries, is a spirit originating from the Americas. We may distinguish two types or rums, such as traditional rums made from treacle/molasses and cane juice rum made from freshly squeezed sugar cane juice. Rum may be drunk white, aged in casks (old rum) with methods similar to whisky, or spiced. Rum takes a light or dark amber colour. Our favorite Don Papa 10 Years Old is a rich and intense rum that may be enjoyed neat or over ice. Black Magic Rum is both spicy and sweet. With a beautiful amber colour and coppery glints, this amazingly sweet rum has been an international hit since its release and is unanimously praised by rum enthusiasts. Did you know that the Philippines are in the top 10 producers of cane sugar in the world? Discover a new "terroir" of wonderful bright aromas with Don Papa rum. Ryoma is made from freshly squeezed cane juice according to agricultural rum traditions, and aged for seven years in oak barrels imparting its legendary flavours and mellow. This spirit is a blend of Trinidad and Tobago rums, aged 12 to 24 months and sprinkled with eleven different spices for epic sweetness and vanilla flavour. A "Frères de la Côte" (Brethren of the Coast) Christmas punch made in Brittany! Presidente Marti is an old rum from Dominican Republic. This Mauritius amber rum preserves the freshness and spicy flavours of pure cane juice. Spice up your aperitives or digestives with this spiced rum made in Brittany! Of exceptional quality, this "Cognac of the rums" Matusalem has aged for 15 years in a solera, an hispanic maturation system. Beach House is a blend of spiced rums from Mauritius. Discover our special spirits such as very sweet creams and liqueurs, one the greatest and most renowned being Irish Mist, made from Irish whiskey. We also offer gins like Hendrick's, Plymouth or Generous gin for cocktails and Chouchen, a spirit quite familiar to Bretons. L’Irish Mist, the most famous liqueurs of Irish whiskey. Produced from herbs, honey and Irish whiskey, Irish Mist takes its roots in the ancient recipe of heather wine, which origin goes back over a 1000 years. An original double-liqueur bottle with Irish coffee and vanilla flavours layered in the glass! The Celts served chouchen or 'the drink of the Elves' on celebration days. Chouchen is the breton appellation for mead. Made with pure milk and Irish whiskey, the Saint Brendan's whiskey cream is a true delight. A Scotch whisky liqueur steeped in history and legend. A Kentucky Bourbon liqueur with a unique and exceptional taste. A unique liqueur that has been appreciated by barmen for nearly two centuries as a cocktail ingredient. Angostura Aromatic Bitters is a secret mix of concentrated essences. Discover Kalak Vodka Single Malt 100% made of malted barley. One of William Grant's eccentric grandson's fancy, this gin really stands out! Teeling Poitín is a traditional, non-aged Irish beverage that is both powerful and aromatically rich. This Japanese gin reveals to be round and balanced with notes of citrus. It is handcrafted following an ancient Asian recipe. The Plymouth gin appellation (North-Ouest England) is a unique and protected designation. We offer more than 50 beer references with blonde, amber or brown beer, ciders and gift boxes. Experience the true Irish pub atmosphere in our retail stores and on the website. Irish, Scottish, English and Briton ales for everyone’s pleasure! A delicious instant hot chocolate powder from Cadbury! A delicious traditional malted hot drink from Horlick's! 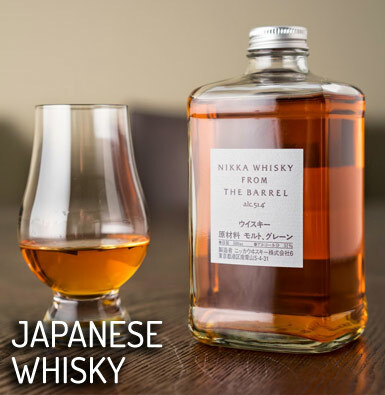 For several years, Japanese whisky has grown in popularity and, with the many awards he wins, his reputation is well established. Discover it through 4 large distilleries.